It was a cold and dreary comic convention in November complete with winter storm warning and I happened to stumble upon artist and writer Asia Dye. Her vibrant and original art immediately jumped out at me. I was completely drawn in by her bold color stories and striking line work. I rushed to her table and immediately got into her business, like I do. Her comic is Project:AEGIS and I learned she co-writes it with her very long time friend and partner Ve’Amber D. Miller. I love their story as much as I love this comic and I have a sneaking suspicion our readers here on Sugar Gamers will as well. Couples working together is often seen as some sort of taboo. How do you two make it work? 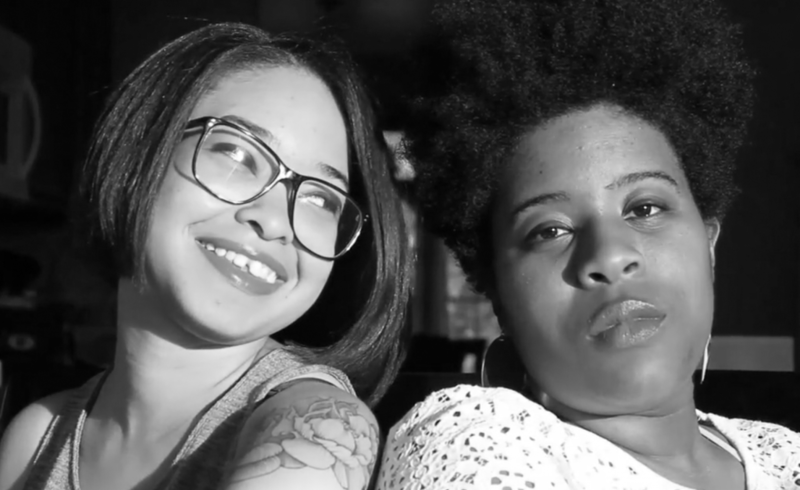 Ve’Amber D. Miller: We don’t have kids, but for us working on this comic together is like raising a baby. Or we like to think so. Its something we created together and we both put in the equal work to help it grow. 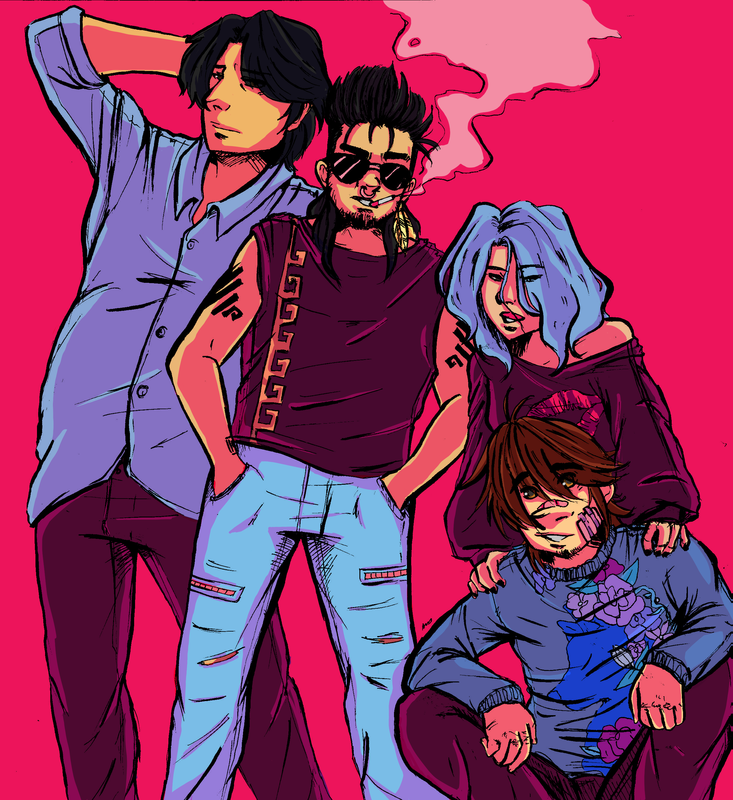 Asia Dye: Because we’re both co-creating this comic together, we also have to learn how to, sort of, compromise with each other on certain characters, plot points and sometimes character designs. We also take turns in doing proper research for some of the characters that we’re working with so that we can represent each character properly. So, this is truly a team effort and it’s exciting. What are some comics or other mediums that have inspired you as creators? AD: I borrowed a lot–if not all my influences from anime and manga. Yoshihiro Togashi (Yu Yu Hakusho, Hunter x Hunter), Tite Kubo (BLEACH), Masashi Kishimoto (Naruto/Boruto), Takehiko Inoue (Slam Dunk) , Hiromi Arakawa (Fullmetal Alchemist), and Takeshi Obata (Death Note, Bakuman)…there’s more to this list but these are the artists that I tried to mimic a lot in the past and I still hope to become as great as they are. What I tend to look for in artistic influences now is how an artist uses color or the line weight of an illustration/comic. But what all of those artists I mentioned have in common is a hidden (or obvious) grit in the work itself. 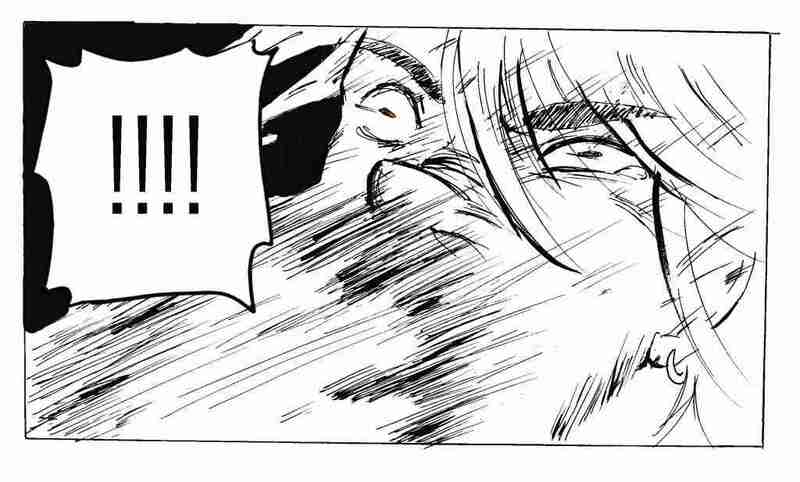 I get a sense of raw energy and technicality from their manga and it makes me both hate and love them at the same time. Someone looked at my work recently and knew that I loved specifically Togashi’s Yu Yu Hakusho and it made me feel good that there are some people that really do appreciate the aesthetic as much as I do. I hope that people will continue to like it! VDM: As a kid I was into a lot of magic based worlds like Eragon. I think right now when I think about what my creative influences are–especially ones that have had an impact on project: AEGIS–I think of Avatar: The Last Airbender franchise as a big recognizable name, but I’ve found myself lost in the world of independent comics such as The Meek, Devil’s Candy, Agents of the Realm, and so on. I really like stories that are part of a speculative-fiction genre and showcase diverse stories and characters. 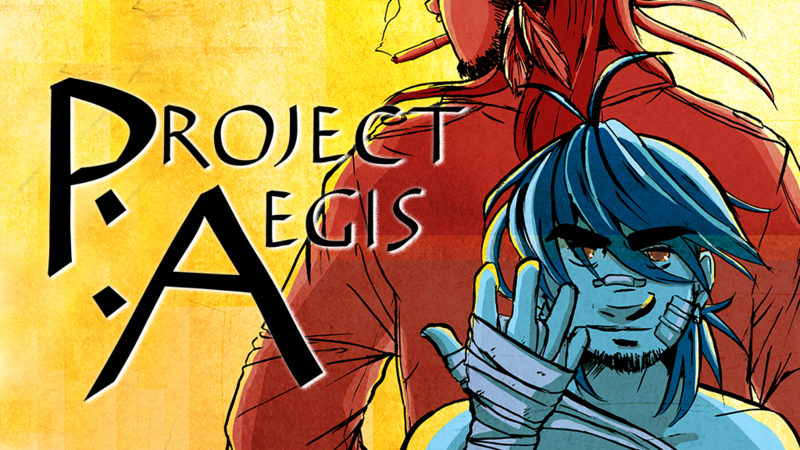 Tell us about Project: AEGIS. VDM: Our usual spin for project: AEGIS is that it’s a story based on Greek and Roman mythology set in modern times where heroes and gods collide. Nine very distinct people find themselves recruited by the gods to learn how to fight in a lot of different ways. However, as things progress, they find that they were drawn together not simply because of their ambitions, but because of their past lives that connect them all. Our first issue that’s out is about Owen Haag, who finds himself in a fight club’s ring having a pretty rough time. And then he’s been having dreams haunting him, as well. However, he ends up finding someone who becomes his mentor and who sees the potential in Owen. What’s special about how we tell this story is that we do it in a comic-prose format, meaning you still get a lot of awesome art, but you’re also getting some exposition that gives you a peek into the characters thoughts that you don’t usually get for traditional comics. We’re excited to slowly and surely getting to more of the story as we find time to work on it! What makes Project: AEGIS unique from anything you two have done in your respective fields? AD: Being in the creative field is tough. It’s not notoriously easy to get into an animation studio or Marvel for example, so trying to figure out what I actually wanted to do with my degree was pretty stressful. I took a few commissions (I’m still taking them, of course) throughout the years and just took on part/full-time retailer jobs just to, you know, live. But I still wanted to do something more, create something that I could be proud of. Project: AEGIS became the first official project that I have ever worked on in terms of a long-term commitment. The comic-prose format allows both me and Ve to shine in what we do best. We tried to make a standard comic in the past but it didn’t work quite as well as AEGIS currently does. I want to continue to work with Ve AND really hone in on the comic-prose format and learn from it as long as I can. VDM: The comic-prose aspect of it is pretty unique in itself for most people, but also I’m more of a novel writer than a comic writer. Also, from what I understand, a lot writer + artist comic duos have it set up where the writer types out the script and then the artist draws what’s there. With Asia and I, I’m still doing most of the writing but Asia has a lot of say in major plot points, character arcs and personalities, and a lot of the details as well. And sometimes I get to convey comic scenes with my (stick figure level) drawing skills for process sketches, haha. What has been the most rewarding thing about doing this comic so far? VDM: I’ve been close to Asia for 18 (!!!) years and we’ve both been writing and drawing for just as long if not longer and somehow we didn’t end up like the kids from Captain Underpants, creating comic-book adventures together for our entire lives. I think it’s really exciting and really nice to finally be working full steam ahead on something as a unit. We’ve had our chance to grow separately as creatives and now we’re bringing what we learned to the table and creating something we both enjoy working on. AD: I think the fact that we finally have something physical for people read has been the most exciting thing for me, like…reality doesn’t really set in until I see a final product in front of my eyes. Project: AEGIS is real, it’s apart of me, and to keep building on this adventure with the love of my life makes it even better. Any other projects in the works for either of you? VDM: We’ve mused about a few other projects we could work on together in the future. By myself, I would like to get one of my other stories I’ve worked on out as a novel. Otherwise, nothing solid! ADM: I keep coming back to this story about a Chicago pigeon cop and whether or not that will become a reality is a mystery. Seriously he’s real, I have sketches and everything! But I have so many ideas laying around that I don’t know if I will get to them or not. AEGIS is going to (hopefully) keep me busy for a while so I have no idea what’s in store for the future. I want to thank these ladies for taking the time to chat with me and share their story. If you wanna check out the comic, head over to projectaegiscomic.com .